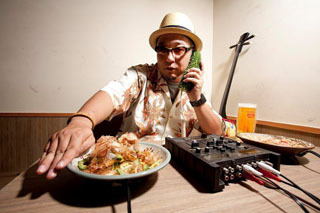 DJ SASA is a music producer who has been performing and producing at and for events in his home island, Okinawa. He has produced a J-Pop cover album by Okinawa folk singer and Okinawa Shamisen titled “SKA LOVERS(Respect)”, and a compilation CD“Okinawa Rare Groove( Polystar)”, both of which became a hit product. “Ghiblinchu”, a Ghibli cover album in Okinawa style, was played on the main souvenir shop street called Kokusai Street, which became a big hit on 2011.